Guts Casino – Jackpot Weekends! Jackpot wins of up to €200 doubled! 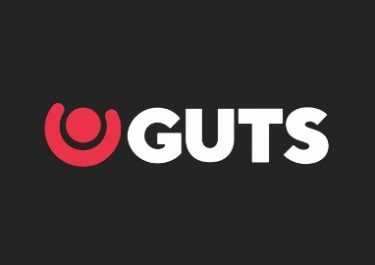 Make it a weekend to remember, at Guts as they are matching any jackpot wins on progressive slots, up to €200, all in cash, thanks to Jackpot Weekends. Play on Mega Moolah, Hall of Gods™ or Mega Fortune Dreams and get rewarded when you hit one of the jackpots, every Saturday and Sunday throughout April and May 2018. 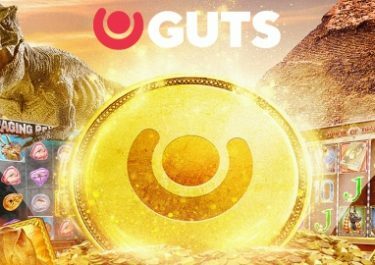 Daily Missions – While your are chasing those Jackpot wins, do not forget to complete the last daily mission to earn a generous reward as well as a ticket to the €15,000 prize draw on Monday. The Sunday mission is to play any NetEnt Live Blackjack and hit 2 Blackjacks in a row to instantly win €20 in cash. On 23rd April 2018, Guts will randomly draw 150 winning tickets from all eligible entries and allocate the prizes in order they are drawn: 1x €5,000 | 2x €1,000 | 4x €510 | 8x €205 | 16x €105 | 25x €50 | 45x €20 | 49x €10, credited to winning accounts in cash by 17:00 CET on the same day. Are you one of the countless players hitting regularly the reels on Progressive Jackpot slots? Then playing them at Guts Casino every weekend throughout April and May could give you a superb cash boost as they will double all jackpot wins, up to €200, credited with no wagering requirements by 18:00 CET on Mondays. OPT-IN on the promotion page and spin at any bet size on the games in the ‘Jackpot’ category. 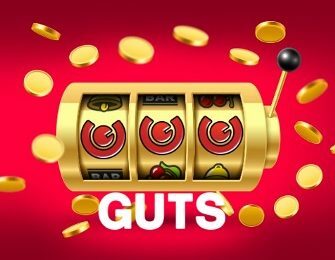 Should you win any of the progressive Jackpots, then Guts will double that win, up to the €200 limit. The “Minor” and “Major” Jackpots on Divine Fortune are not eligible for the promotion.